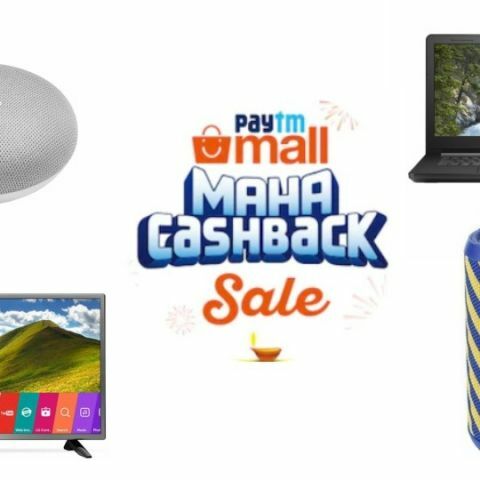 Paytm Mall's Maha Cashback Sale is chugging and this time around, we take a look at deals across a wide range of products like TVs, refrigerators, speakers, headphones and more. The Paytm Mall Maha Cashback Sale has started on October 9 and will run till October 15. The platform is giving up to a Rs 20,000 cashback on laptops, and up to Rs 5,000 cashback on speakers and headphones. In this lister, we have included the best deals that Paytm Mall has on gadgets like laptops, TVs, headphones, speakers and more on its Maha Cashback Sale. The Lenovo Ideapad 330S powered by the latest 8th Intel Core i3 processor, which is paired with 4GB DDR4 RAM and 1TB hard drive. The laptop is available on the Maha Cashback Sale for Rs 31,003. There is also a 10% instant discount for those who will make payment through ICICI bank debit or credit card. View deal here. The Asus Vivobook X507 is powered by an Intel Core i5 8th Gen processor, which is paired with 8GB DDR4 RAM and 1TB hard drive. The laptop is available at a discount of a Rs 13,000 (approx) during the sale. View deal here. The Dell Inspiron 5000 is backed by an Intel Core i5 8th Gen processor, which is paired with 8GB DDR4 RAM and a 256GB hard disk. The platform is offering up to a Rs 9,749 cashback on this purchase. View deal here. The Google Home Mini is a smart speaker that can be controlled using voice commands. The speaker can play music, check the weather, answer your queries and more. The speaker is available during the sale at Rs 2,861 that includes a cashback as well. View deal here. The JBL Flip 3 is a wireless Bluetooth music streaming device that can be connected to up to three devices at once. The speaker offers a battery life of up to ten hours. The speaker is available at a discount of 41% during the sale along with a Rs 1,491 cashback. View deal here. The Sony 40-inch Full HD LED TV offers a resolution of 1920 x 1080 pixels. The TV comes with a multiple HDMI and USB ports to connect external devices such as a Fire TV Stick, laptop, and more. The product is available on the sale with a discount of more than Rs 10,000. Moreover, those who will make payment through ICICI bank card will get an instant 10% discount. View deal here. If you're looking for a smart TV within a limited budget then this TV might fit the bill. The TV comes with built-in Wi-Fi that lets you connect the TV to your home network and download a wide range of apps like Netflix, Youtube and more. The TV is available on the Paytm Mall sale at a discounted price of Rs 19,128. View deal here. The Sony CH400 Wireless Headphone features a 30mm neodymium driver and weighs approx 7gms. As per the company, it has a battery life of up to 20 hours. The headphone is available for Rs 2,550 during the Maha Cashback Sale. View deal here.